Culture is the collection of values and assumptions that underlie organizational decisions and other actions. We have long encouraged organizations to develop strong safety cultures (SC). The methods available to do this are widely-known, including visible leadership and role models; safety-related policies, practices and procedures; supportive structures like an Employee Concerns Program; the reward and recognition system; training and oversight; and regulatory carrots and sticks. Because safety performance alone does not pay the bills, organizations also need to achieve their intended economic goals (i.e., be effective) and operate efficiently. Most of the methods that can be used to promote SC can also be used to promote the overall performance culture. More specifically, to the extent management, through its power and/or leadership, willfully shapes an organization’s value structure to achieve greater functionality (conformity, focus, efficiency, etc.) they may be, consciously or unconsciously, creating an environment where employees ask fewer questions (and no hard ones), seek fewer justifications for the organization’s decisions or actions, focus their intelligence in the organization’s defined areas, do not reflect on their roles in the organization’s undertakings, and essentially go along with the program. Strong leaders set the agenda and the true followers, well, they follow. In the name of increased functionality, such actions can create a Weltanschauung that is narrowly focused and self-justifying. It may result in soft biases, e.g., production over safety, or ignoring problematic aspects of a situation, e.g., Davis-Besse test and inspection reports. Fortunately, as the authors explain, a self-correcting dynamic may occur. Initially, improved functionality contributes to a sense of certainty about the organization’s and individuals’ places in the world, thus creating positive feedback. But eventually the organization’s view of the world may increasingly clash with reality, creating dissonance (a loss of certainty) for the organization and the individuals who inhabit it. As the gap between perception and reality grows, the overall system becomes less stable. When people realize that description and reality are far apart, the organization’s, i.e., management’s, legitimacy collapses. However, in the worst case “increasingly yawning gaps between shared assumptions and reality may eventually produce accidents or disasters.” (p. 1213) Fukushima anyone? Management is always under the gun to “do better” when things are going well or “do something” when problems occur. In the latter case, one popular initiative is to “improve” the culture, especially if a regulator is involved. Although management’s intentions may be beneficent, there is an opportunity for invidious elements to be introduced and/or unintended consequences to occur. Environmental factors can encourage stupidity. For example, quarterly financial reporting, an ever shortening media cycle and the global reach of the Internet (especially it’s most intellectually challenged component, the Twitterverse) pressure executives to project command of their circumstances and certainty about their comprehension, even if they lack adequate (or any) relevant data. The nuclear industry is not immune to functional stupidity. Not to put too fine a point on it, but the industry's penchant for secrecy creates an ideal Petri dish for the cultivation of stupidity management. The authors close by saying “we hope to prompt wider debate about why it is that smart organizations can be so stupid at times.” (p. 1216) For a long time we have wondered about that ourselves. * M. Alvesson and A. Spicer, “A Stupidity-Based Theory of Organizations,” Journal of Management Studies 49:7 (Nov. 2012), pp. 1194-1220. Thanks to Madalina Tronea for publicizing this document. 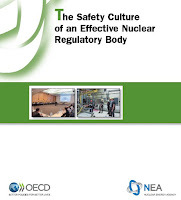 Dr. Tronea is the founder/moderator of the LinkedIn Nuclear Safety Culture discussion group. The Department of Energy (DOE) Inspector General (IG) recently released an audit report* on deficiencies in Bechtel’s Corrective Action Program (CAP) at the Hanford Waste Treatment Plant (WTP aka the Vit Plant) where Bechtel is the prime contractor. The report also described deficiencies in the DOE Office of River Protection’s (ORP) oversight of Bechtel. The report does not inspire confidence that Bechtel can upgrade its CAP (while trying to move ahead with Vit Plant design and construction) or ORP will ride herd on them to ensure it happens. 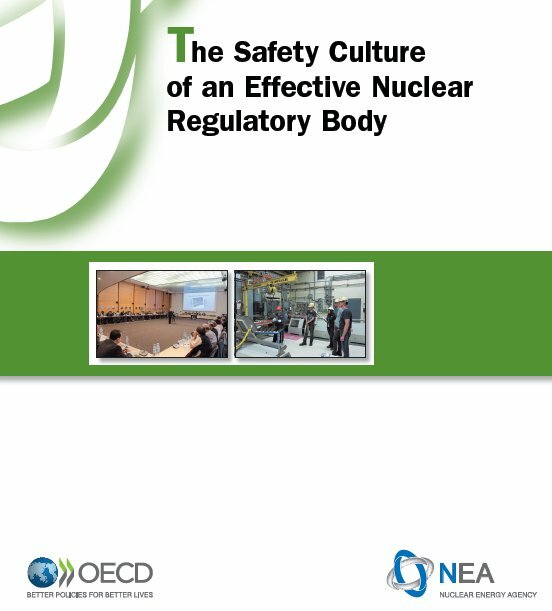 In fact, the report is consistent with a bevy of earlier assessments and evaluations, many of which we have reviewed on Safetymatters. (Click on the Vit Plant label for more details.) ORP’s assertion that Bechtel has strengthened its culture is possibly true, but they began from an unacceptably low starting point. Early in my career I was hired as a Quality Control manager for a telecom manufacturer. The company had major problems with its flagship product and I was soon named to a task force to investigate them. On my way to our initial meeting, I met up with a more senior employee and told him how I looked forward to our task force identifying and fixing the product’s problems. He turned to me and said “The first three didn’t.” Welcome to the world. * U.S. DOE Inspector General, “Audit Report - Corrective Action Program at the Waste Treatment and Immobilization Plant,” OAI-M-16-06 (Feb. 2016). ** As we have discussed elsewhere, two other key artifacts are decision-making and compensation. From the WTP history we have reviewed for Safetymatters, it appears Bechtel (and by extension, DOE) decision-making does not effectively address either the tough technical challenges or programmatic issues at the WTP. The Bechtel contract now includes some modest incentive compensation for SC performance. We discussed that program on Dec. 29, 2014. Ethics* are rules for conduct or behavior. They are basically a social (as opposed to an individual or psychological) construct and part of group or organizational culture. They can be very specific do’s and don’ts or more general guidelines for behavior. The Ethics Resource Center (ERC) conducts and publishes regular employee surveys on the degree of non-compliance with workplace ethics in the United States. The surveys focus on instances of misconduct observed by workers—what occurred, who did it, who reported it (if anyone) and what happened to the reporter. The survey uses a random sample of employees in the for-profit sector. The 2013 survey** ended up with over 6,000 useable responses. There is no indication how many respondents, if any, work in the commercial nuclear industry. The keys to building a stronger ethical culture are familiar to Safetymatters readers: top-level role models, and support by immediate supervisors and peers to do the right thing. In terms of cultural artifacts, a stronger ethical culture is visible in an organization’s processes for training, personnel evaluation and application of employee discipline. The report goes on to analyze misconduct in depth—who is doing it, what are they doing and how long it has been going on. The authors cover how and why employees report misconduct and suggest ways to increase the reporting rate. They note that increased legal protection for whistleblowers has increased the likelihood that covered workers will report misconduct. This report is worth a read. Quite frankly, more workers are willing to report misconduct than I would have predicted. The percentage of reporters who perceive retaliation is disappointing but hardly surprising. The survey results are more interesting than the explanatory analysis; a reader should keep in mind that this research was conducted by a group that has a vested self-interest in finding the "correct" answers. * Ethics and morals are often used interchangeably but it’s helpful to consider morals as an individual construct, a person’s inner principles of right and wrong. See diffen.com for a more detailed comparison. ** Ethics Resource Center, “2013 National Business Ethics Survey of the U.S. Workforce” (Arlington, VA: 2014). Corporate sponsors include firms familiar to nuclear industry participants, e.g., Bechtel and Edison International. ***** Proverbs 16:18, Bible (English Standard Version).